Series FV-4 Automatic Vent Valves are used in commercial and residential hydronic heating applications to provide automatic air venting for hot or cold water distribution systems. 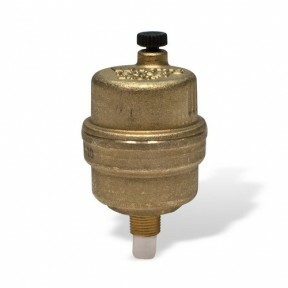 It consists of a brass body construction with male bsp connection, brass cover, air vent with silicone rubber seal, polyethylene float with valve plug, and automatic vent. dispersal of air while fluid is circulating in the system. Can be disassembled for inspection and cleaning.